Orchestrate are excited to be taking part in the Muddy Dog Challenge 2017 at Hever Castle, Kent. We will be taking our four legged furry friends and running through the countryside, mud included, to raise money for Battersea Dogs & Cats Home. This is a cause close to our hearts being an office of Dog lovers and firm supporters of Battersea Dogs & Cats Home. 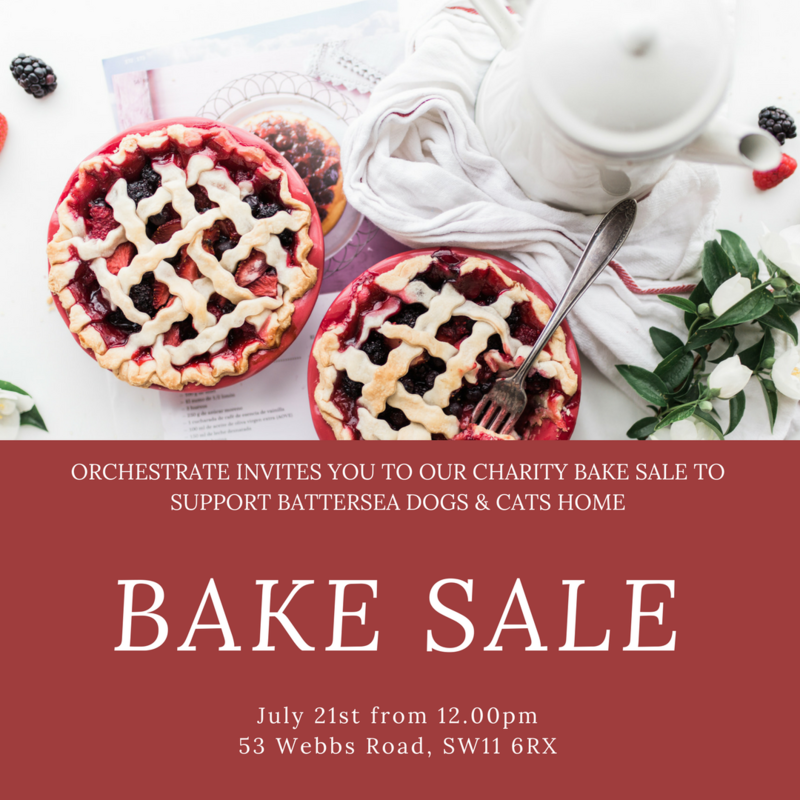 To raise funds and awareness we will be holding a bake sale on Friday 21st of July outside of our office on Webbs Road from 12pm. Please join and support us by buying something delicious, baking a cake or making a donation online here. There will be brownies, cupcakes, pies and more!